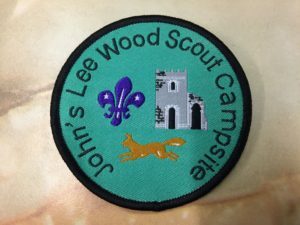 John’s Lee Wood campsite badge. Always popular, our JLW campsite badges make a great souvenir for all age groups. You can pre-order a quantity of these badges in a variety of colours, ready to collect and give out to your campers. Colours and quntities subject to availability but we normally hold a good stock in all colours. 2 Responses to "Campsite Badges"
I can get a badge for you, which one would your son like we have a choice of six colours, green,white,red,blue,lilac,yellow. Hello My son has just done a camp with Leire and dunton and forgot to purchase a badge is there a way we can sort this please.